A fascinating look at the Post Office Underground Railway and the driverless carriages that moved up to 4 million letters a day around Britain for over 70 years. The show allows you to immerse yourself in the unique experience of being a Mail Rail Engineer. 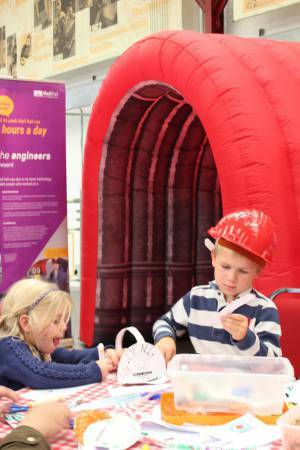 To begin with an inflatable tunnel offers a multi-sensory glimpse in to the working day of a Mail Rail engineer and dressing up costumes to really feel the part. This exhibition will also explore the exciting letter writing revolution. Discover how, for over 160 years, people in Britain have stayed connected and the individuals that made the postal system we have today possible. In addition to our events, activities and permanent displays there is still chance to see; Hilary Morris – Simply Coastal, on show until September 16th and Dressing Victoria, on show until September 9th.